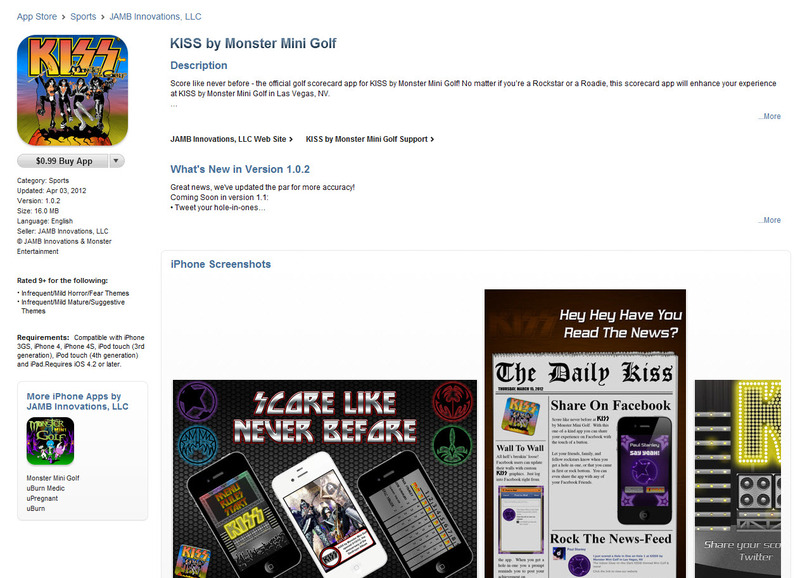 KISS Monster page up at iTunes and taking Pre-orders!! Here is a picture of the Monster page over on iTunes. 13 songs. Can’t wait to hear them all!!! Came home from work today and found this surprise posted all over the place. Destroyer Resurrected (due out Aug. 21st) is no available on iTunes!! Grab it before Gene and Paul found out it’s posted!! I guess if you are planning on making the trip to Vegas to play at the new KISS mini golf course….might as well spend .99 and get the app to! !